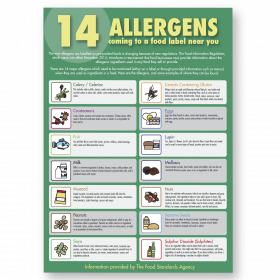 These food preparation allergen warning labels are easy to read, fill out and remove, with easy identification tick boxes for which allergens are contained in the food type. 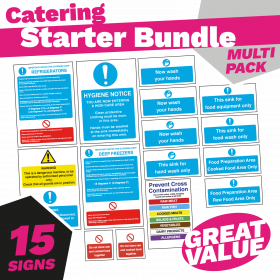 With new legislation regarding allergies recently released it is vital that chefs, cooks and catering staff must be aware of food allergens contained in their prepared foods. 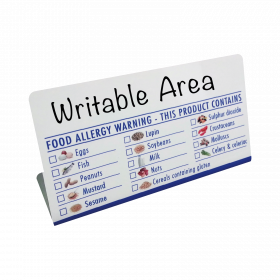 These highly cost effective removable labels will help identify all allergens within any kind of food type. It is a thorough way of informing your customers and that food has been prepared with their allergies in mind and will help them to identify what they can and cannot consume. 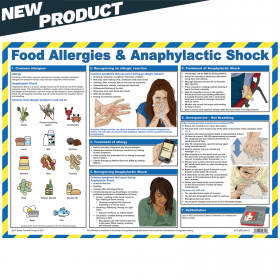 These easy to use allergen labels will help ensure that your staff are always aware when a potential allergen is present. Printed purple on matt white removable paper. 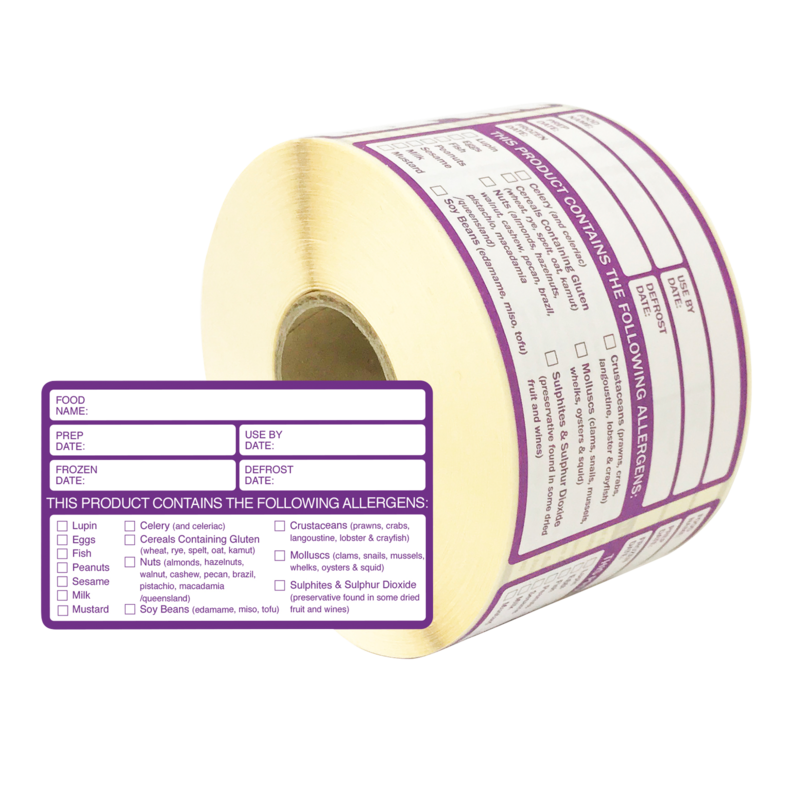 Labels measure 95x60mm and are supplied on rolls of 500. 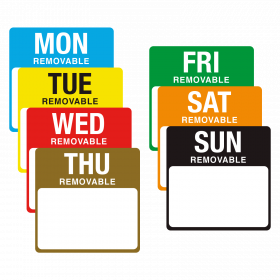 Easily removed from plastic and metal containers - Leaves no sticky residue behind - Suitable for Fridges, Freezers & Chillers - Working temp -30°c to 70°c. Minimum application temp -10°c. With new legislation regarding allergies being recently released, it is vital now more than ever to make sure your commercial kitchen is running correctly, and that mistakes such as faulty labeling or cross contamination is at the lowest possible risk. 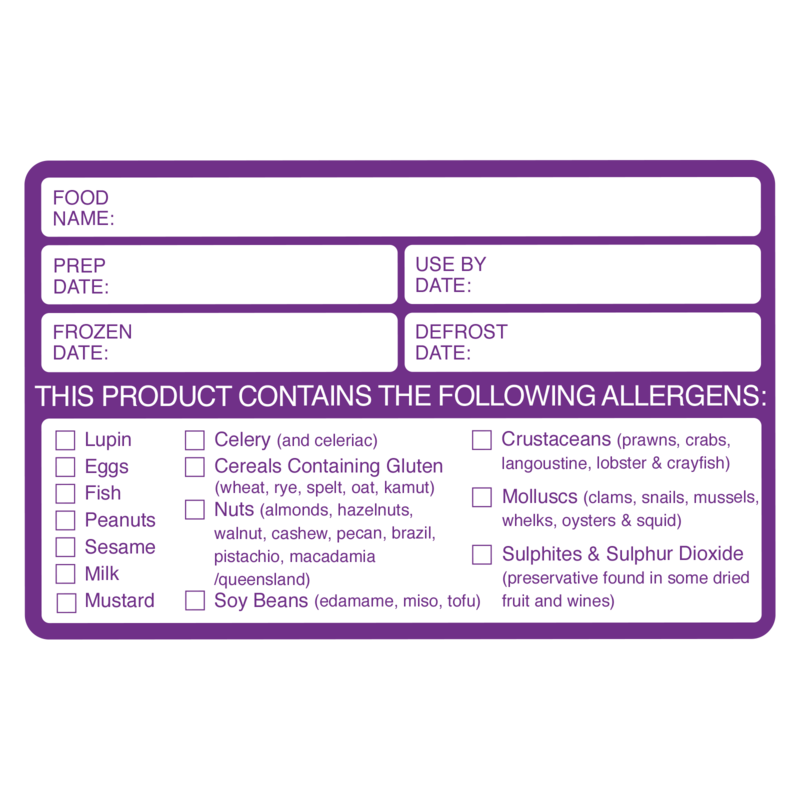 These labels are a thorough way of informing your customers that food has been prepared with their allergies in mind and will help them to identify what they can and cannot consume.